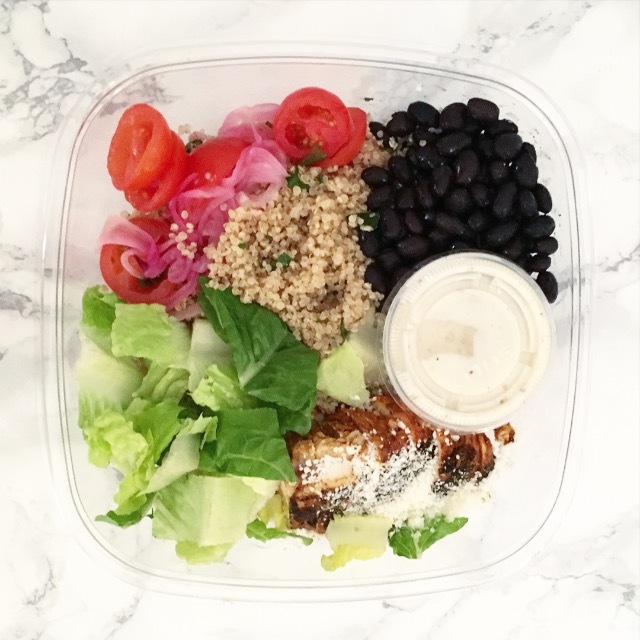 If you follow me on Snapchat (username: lehmala), you'd know I got the pleasure to try out a new (to D.C.) food-delivery service call Munchery this week. 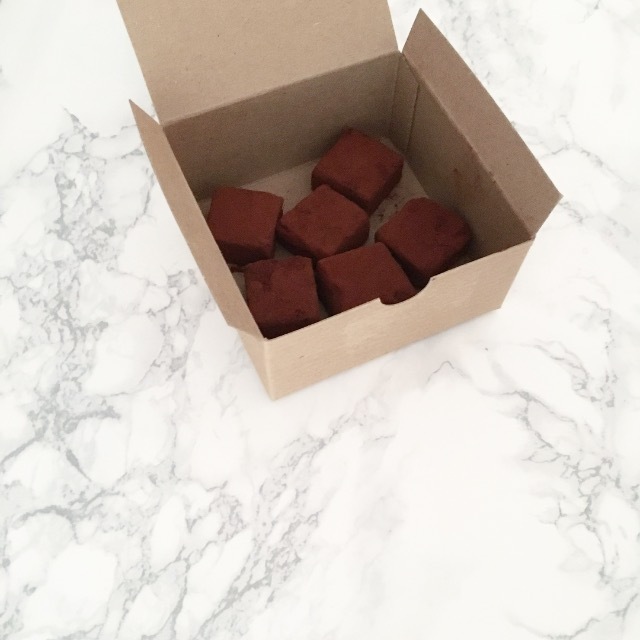 I was hosting a little Bachelorette dinner party at my place for two of my best girlfriends and when Munchery reached out to see if I'd like to try them, I jumped at the chance. I was fully expecting for us each to receive an entree, but when I opened the package, they had sent over 4! Not only that, but they also provided a side salad, biscuit, and dessert for us all to try. Umm nom. 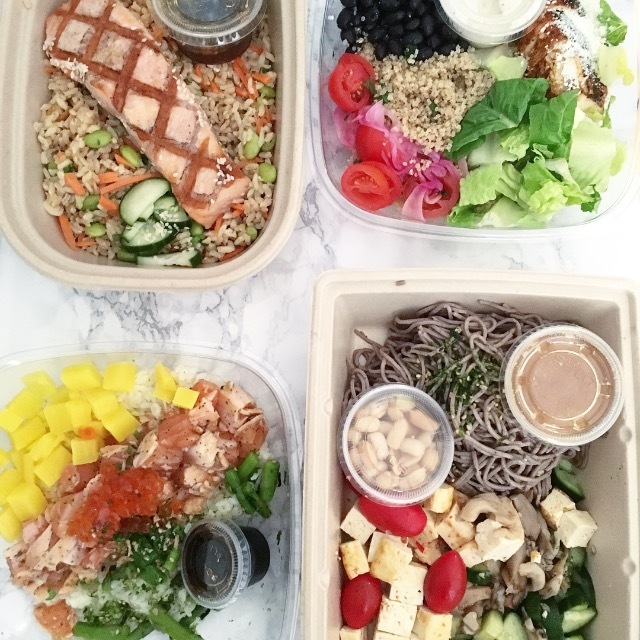 The four entrees we received were the Soba Noodles with Tofu, Pan-Seared Salmon Rice Bowl, Chicken & Quinoa Taco Bowl, and the Salmon Gaba Bowl. Each one was different than anything I had ever tried before. You could tell the food was extremely fresh and it definitely was on the healthier side. Looking at you, tofu. After we finished eating (we all split all four to taste-test), one of my friends made the comment that she was full; healthy-full, not gross-feeling-full..that's a great sign, if you ask me. I have to say, though, the Chocolate Praline truffles they sent may have been my favorite thing. They don't look all that special, but they are. Trust me. 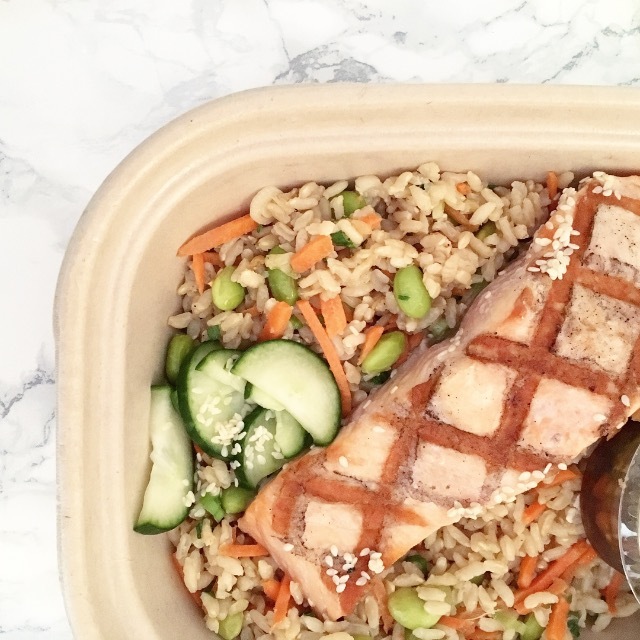 If you're the D.C. area (or any of these areas), make sure to try Munchery.com out. You can use the code: MuncheryDC to buy one, get one free or go to this link to get $20 off an order. You'll have to let me know what you think!